Blue Dream, the most illustrious strain from East Coast to West, can be found in nearly every cannabis shop in Washington state. Pop open a menu and you may even notice several different Blue Dreams from different growers. But when faced with multiple choices of producer, how do you choose between them? 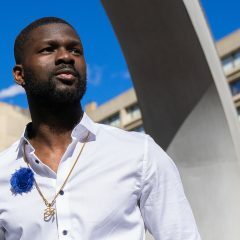 While price can be a good indicator of quality, it can be impossible to know which bud is best without the ability to smell the cannabis or remove the buds from their packaging. So we rounded up five experts from the cannabis industry to vote on which farm’s Blue Dream had them most impressed. Using a 10-point scale, our judges rated anonymous strain samples based on appearance, aroma, flavor, and effect. Every batch offered something special and different. We encourage you to read into the qualities and merits of each and acknowledge that there’s a subjectivity to cannabis and the experiences it brings us. But cannabis craftsmanship is both an art and science, and so we celebrate the industry leaders who strive to raise the bar with every harvest. Ripping open the package, your nose is met by the subtle but unmistakable scent of ripe blueberries. Small buds tumble from the bag, their trichomes catching light with a slight glimmer. Although the judges didn’t know it, these were nuggets were from Pioneer Nuggets. 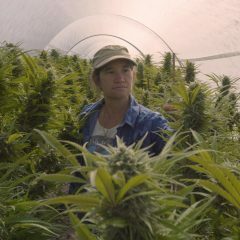 Founded in December of 2013, these growers have been raising hand-watered, hand-trimmed, and hand-manicured buds from outside the small town of Arlington. Though this take on Blue Dream didn’t rack up as many points as its running mates, our critics certainly found praiseworthy attributes. But other judges were a little harder to please. Although the gentle effects of this Blue Dream might be a little too underwhelming for some, there’s still something to be enjoyed in its fluffy, mellow euphoria – especially if you prefer a milder psychoactive experience. Hiding inside a stash jar wrapped with holographic art is Buddy Boy’s take on Blue Dream. Bright amber pistils hug the rounded buds, their structure maintained and un-squashed by the glass container (a common problem with flat, plastic packaging). 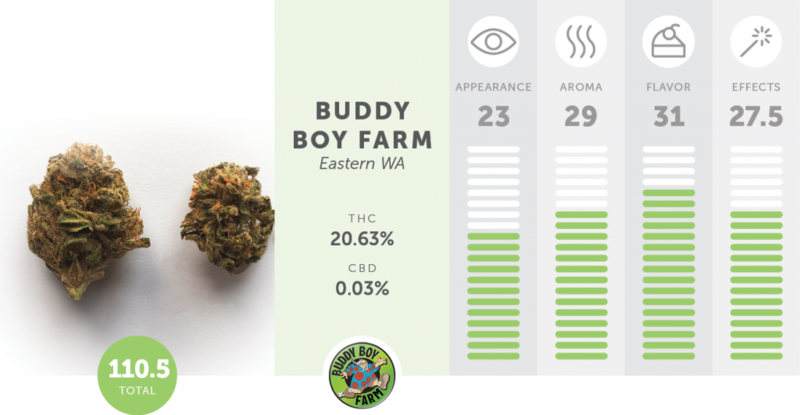 With over 40 years of cultivation experience, the small team of growers at Buddy Boy raise their plants organically and with fresh, clean spring water in a quiet Eastern Washington valley. Our critics had plenty of nice things to say about this earthy, piney smelling sample, despite its somewhat “outdoor” appearance. Still, there were a few knocks on the flavor, curing, and grooming. What this strain lacks in appearance, it makes up for in effect and flavor. As per the advice of our judges, roll this one up and consider taking it with you on your favorite hike or while catching some sun. Working from a clone of the original Snoop’s Dream cut, the cultivators at Rootworx have spent years developing their Blue Dream “recipe.” Pristine conic buds shimmer with white crystal trichomes in an impressive display behind the glass walls of their packaging. Priding themselves in proper climate control, lighting, and curing, the Rootworx Blue Dream is a beauty to behold, but what did the critics think of the overall experience? It won over a few fans, especially with regards to its looks and effects. But there were a few points of criticism. With a THC content pushing past 29%, this Blue Dream is decidedly the heavyweight of this bunch. 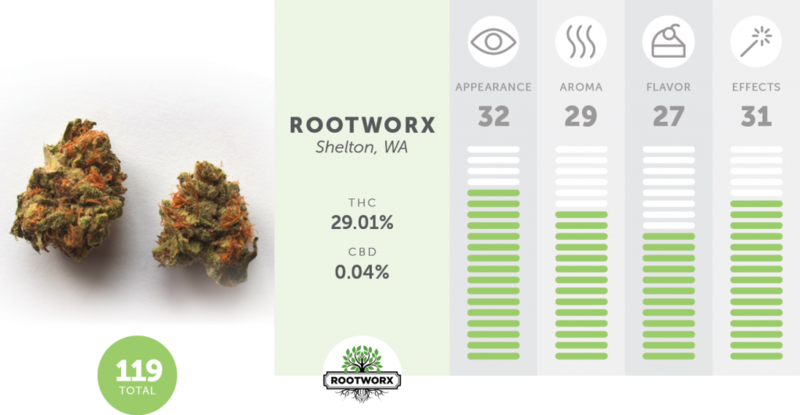 The buds may be a little dry and earthier in flavor, but overall, Rootworx’s Blue Dream is a perfect companion for creative projects and social gatherings. Consider vaporizing this one for the smoothest delivery. From the family-owned and operated indoor farm in Wenatchee, Monkey Grass’ Blue Dream boasts a competitive price point while still holding on to fragrance and potency. Our third place winner clocks in at over 25% THC with a pronounced terpene profile that excitedly bursts out of the bag. This hybrid, however, had somewhat polarized reviews from our judges. Some of them raved about this one’s aromatic attributes and smooth euphoria. Mike, our toughest critic, didn’t agree. 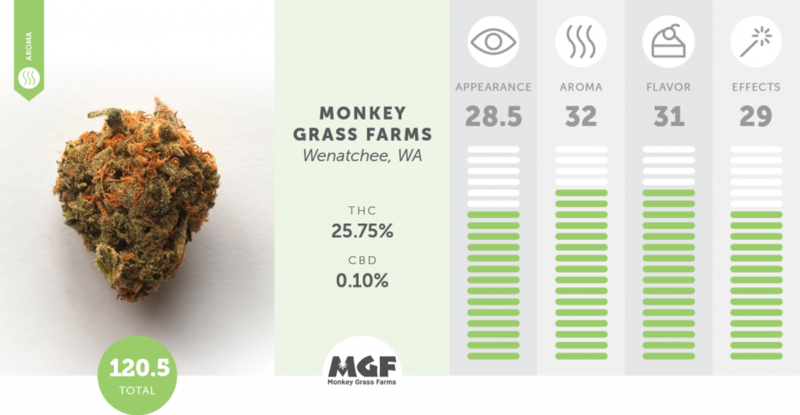 Perhaps pickier consumers will want to reach for the topmost shelf for their Blue Dream, but for just $35/eighth (a nostalgic price tag for us medical customers), it would seem that Monkey Grass is a damn good deal. After all, this Blue Dream scored highest for aroma. Sitting high up on the top shelf, you’ll find Emerald Jane’s Blue Dream wrapped in elegant packaging and a price tag that might make some wince; for over $17 a gram, you better hope they stuffed these fancy bags full of herbal gold. Referred to as “boutique cannabis,” Emerald Jane’s takes pride in their small-batch product, focusing on quality over commercial quantity. 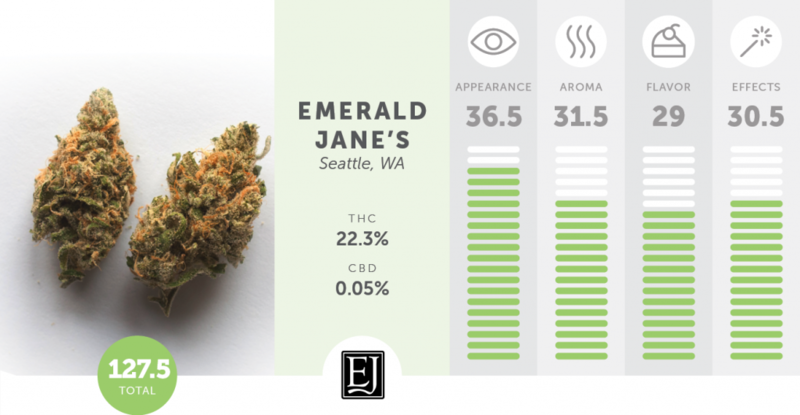 As our second place winner, it’s clear that Emerald Jane’s isn’t just cannabis wrapped in frills, but a treat for the connoisseur willing to pay an extra buck (or seven bucks) for well-raised and lovingly crafted bud. Here’s what our judges loved. Oddly enough, our guys didn’t pick up on the smell. 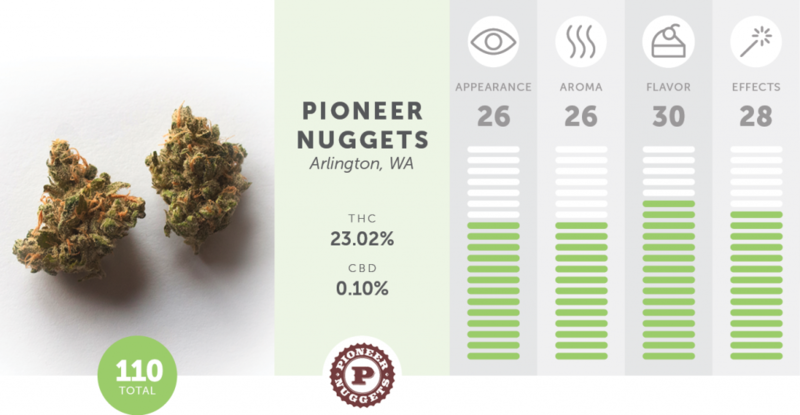 There were clear differences in perception of this strain’s aroma and flavor, but it proved to be a well-rounded, strong contender in this race. You can trust that what you find in this bag will be a solid rendition of Blue Dream, a frosty vessel of deep relaxation and sparked imaginations. 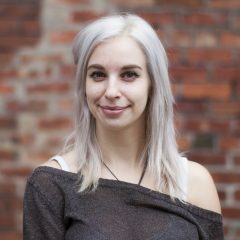 Artizen, the indisputable champion of this round of Critics’ Picks, lifts the top shelf up to a higher plane. A dustbowl of crystal resin gives the flower a well-earned hue of gold as an enticing tangle of blueberry-lemon aromas radiate loudly from the bud. Though it may pain you to burn up these gold nuggets, do it. 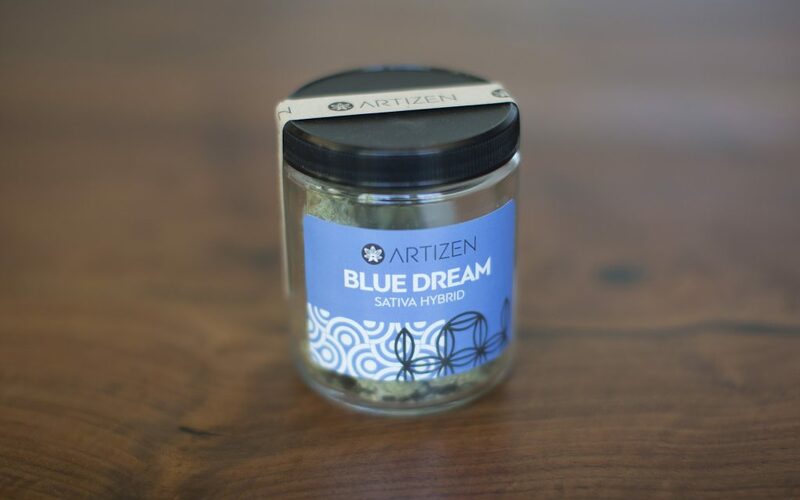 With a clean, smooth delivery that could stand in as a dessert, Artizen’s Blue Dream brings peace and relaxation on the inhale, and with the exhale, you can wave goodbye to stress and anxiety. We have only compliments from the judges to share with you. Well, okay, four compliments and one piece of very stoned feedback that still manages to say something about the potency of Artizen’s Blue Dream. Blue Dream from Artizen demonstrates that the quality and potency of a strain doesn’t necessarily correlate with a bloated THC content. Clocking in at 18.5% THC, the lowest among our contenders, this flower is an intricate and nuanced piece of art painted by chemical synergies as cannabinoids and terpenes dance harmoniously together. 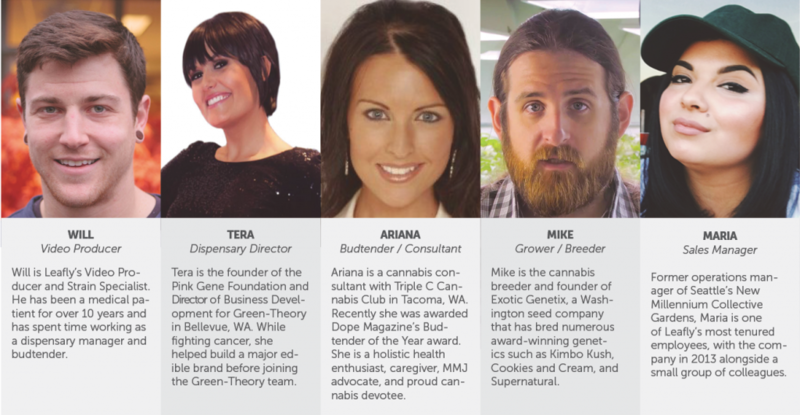 Artizen is a fondly remembered name by patients of Washington’s bygone medical dispensaries, many of which closed their doors for good as of this July. Now a licensed producer in Washington’s adult cannabis market, Artizen bridges past and future generations of legal cannabis as a living relic of “the good old days.” And, although the price tag is often a reflection of a harvest’s quality, this gram only cost me $13.25. All of the sudden, the top shelf doesn’t feel so far away. Winner of best appearance, best taste, best effects, and best overall flower, we congratulate Artizen on this sweeping victory! 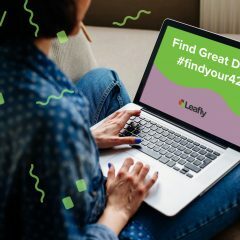 Are you a licensed producer interested in competing in Leafly’s next Critics’ Picks? Email us at criticspicks@leafly.com with your name, location, and a list of your strains/products for a chance to enter the next competition! Businesses operating within any legal state market may apply. Whether your craft is flower, edible, concentrate, or something else, we want to hear from you! Note: application does not guarantee selection. Participants will be selected based on their location and product availability. every master grower knows blue dream is not grown for its quality, but for its quantity. Its known in circles as a cash crop. AK47 is another known cash crop. Im not saying its bad weed, but really blue dream is equivalent to a mcdonalds cheese burger. 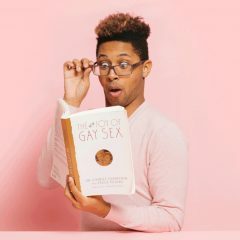 btw the only reviewer you should listen to is mike the grower. I have had some real great ak47 from harmony farms. Don’t think you know what your talking about. Nancy’s blue dream from around 2011 dispensary days makes all these look like someones 1st grow attempt, so bummed when I couldn’t get it anymore, which was a while ago so not that relevant I guess. 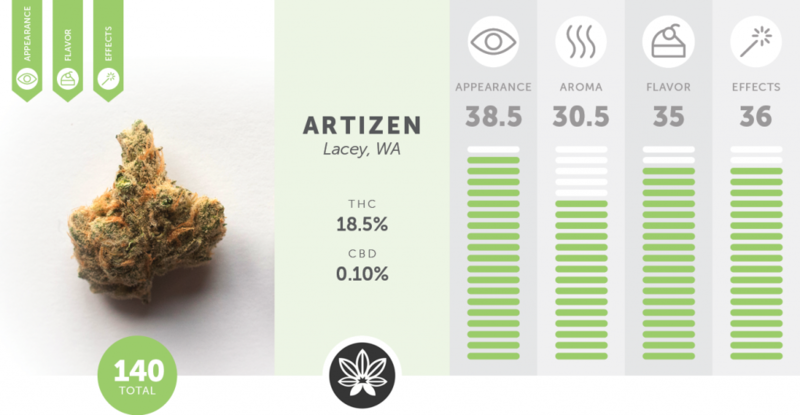 I really like some of Artizen’s strains, they seem to know what they are doing, but the blue dream is not very good when you compare it to what it could be, which means the other ones must really be lackluster. ARTIZEN !!! Purchased at multiple locations across Washington Rec. Stores, phenomenal flower characteristics. Thank you! Ethics and quality are an unbeatable combination. We were so honored to be part of this competition- thanks to the shout outs! This was a well vetted phenotype and we will continue to grow it- we also have cartridges now for the Blue Dream. Thanks Leafly! Anything over $10 a gram is insane. I hate gougers on my medicine. I’d love to have a nice discussion about it. Med patients $100oz retail $125 is fair. Those judges, mostly male, who had a hard time with aroma judging, may be intolerant of nuances because of long term smoking, either tobacco or cannabis, or even the perfume or deodorant used by that person or the person sitting next to them. More controls are called for. Also, measured doses should be given by the exact same way (vaporizer, bong, joint, etc.) for any inhalation. Taste is a factor of age, dental hygiene and what you had to eat before the testing. All in all this was NOT a controlled sampling. Those in the perfume industry or those in the taste essences industry have much more exacting standards that should be adopted. Homegrown Blue Dream is the best. Oh wait, this is Washington.